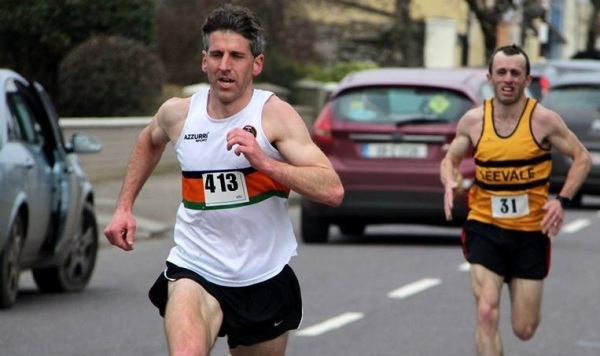 County Novice & Masters Road Champs, 17th March 2016 — St. Finbarr's A.C.
Medals Galore! A fantastic day for the BARRS in the County Road Championships on St. Patrick’s day with an abundance of individual and team prize winners. In the Women’s Novice, the BARRS took 1st, 2nd and 3rd with Marie Murphy leading home Ali O’Connor and Clodagh McMorrow. Irene Eighan had a great 5th place finish to give the Women a fantastic team Gold. In the Women’s Masters, Irene Eighan was 2nd at F35, Anne Wolfe 3rd at F40, Margo Dinan 1st at F45, Eileen Buckley 2nd at F50, Kitty Buckley 3rd at F50 and Marion Lyons 1st at F60. In the F35 category, Anne Wolfe led home Denise Twohig, Anne-Marie Healy and Irene Eighan for another Team Gold. Not to be outdone, the F45 Ladies also won Gold with Margo Dinan leading home Eileen Buckley and Kitty Buckley making it a clean sweep for our brilliant Ladies teams. In the Men’s events, John Meade led everyone home on the day for a fantastic County Championship win. In the Men’s Novice, Mark Cronin had a great 4th place finish leading home Chris Murnane, Padraig Sheehan and Paddy Barry for a fine 3rd place team performance. In the Men’s Masters, John Meade was 1st at M35, Tony O’Brien 3rd at M55, Eamonn McEvoy 1st at M60 and Dan Kennedy 3rd at M60. In the M35 category, John Meade led home Michael Corbett, Paul Gallagher and John O’Reilly for the 2nd place team Silver. The Men’s M50 team finished in 3rd place with Eamonn McEvoy leading home Tony O Brien and Dan Kennedy. Great individual and team performances by all the BARRS’ athletes. Well done everyone!